There will be a Gravesham Borough Council by-election in Painters Ash ward following the resignation of Cllr Colin Dennis due to ill health. Cllr Dennis took the seat at elections in May 2011 when Labour won all three seats back from the Conservatives. He is 68 and lives in Gainsborough Drive, Northfleet. Prior to becoming an elected member for Gravesham Borough Council, Cllr Dennis worked for Scott’s in Northfleet and is known by his friends as ‘Kermit’. Cllr Dennis has one of the best meeting attendance records despite being ill for some time. He was a member of six main committees and a substitute member on two more. The by-election will probably be set for 2 May to coincide with the Kent County Council elections. Super-slimming couples are seeing less of each other! Two super-slimming couples from Hoo St Werburgh have discovered a new zest for life after winning a weight loss competition. 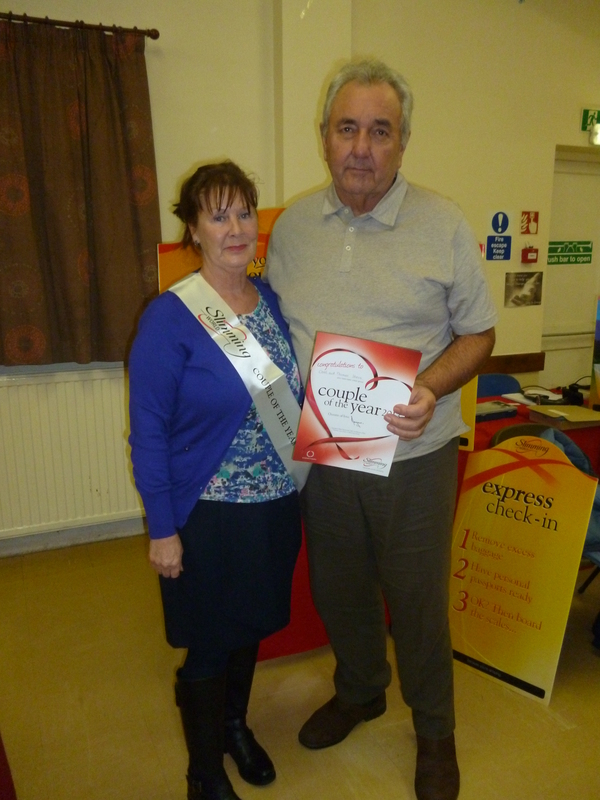 Carol and Tom Shave and Jill and Malcolm Smith’s success has transformed their lives and seen them crowned Hoo St Werburgh Slimming World Couples of the Year 2013. The couples, decided to join the Hoo St Werburgh Slimming World group after realising that their weight was putting their health at risk. Kent Wildlife Trust welcomes the recognition of Lodge Hill – earmarked as a 5,000 home development site – as a nationally important site for wildlife by Natural England, the Government’s advisor on the natural environment. On 13th March Natural England, the Government’s advisor on the natural environment, notified Chattenden Woods and Lodge Hill on the Hoo Peninsula in Kent as a Site of Special Scientific Interest (SSSI). SSSIs comprise some of the country’s best wildlife sites, including our most spectacular, important and beautiful habitats, and Natural England has a duty to designate such areas under national legislation that protects them for future generations. Chattenden Woods, a large area of ancient woodland and grassland, was originally designated as a SSSI in 1984 under the Wildlife & Countryside Act. More recently, investigations into the adjacent Lodge Hill site as part of proposals for a significant housing development, have highlighted that this area is also very important for the same reasons. 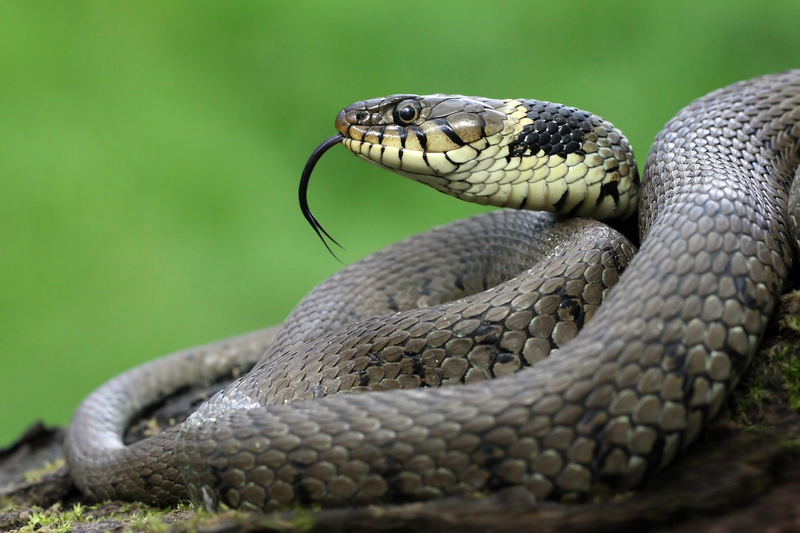 The site supports communities of bats (six species), lizards, grass snakes, adders, slow worms, newts, frogs, toads, badgers and rare insects such as the shrill carder-bee. Activities for the whole family at The Historic Dockyard Chatham this Easter! 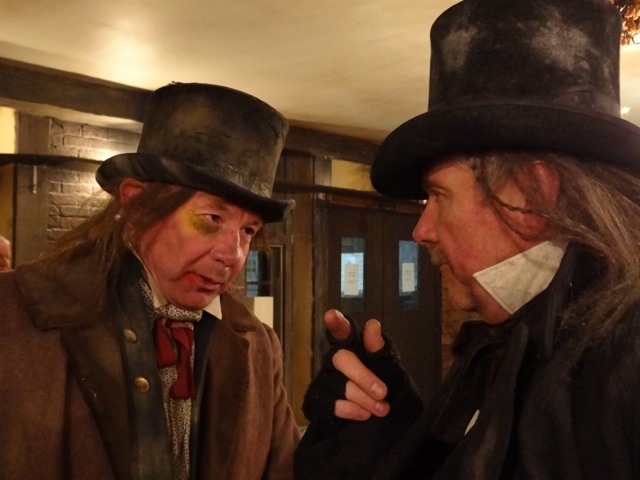 The next meeting of the Rochester and Chatham Dickens Fellowship (R&CDF) is on Thursday the 21st of March 7.15 for a 7.30 start. The meeting is in the Education Room of Dickens World in Chatham and includes a talk by Odette Buchanan titled Mills and Broom, a history of wind and watermills around the Medway Towns. 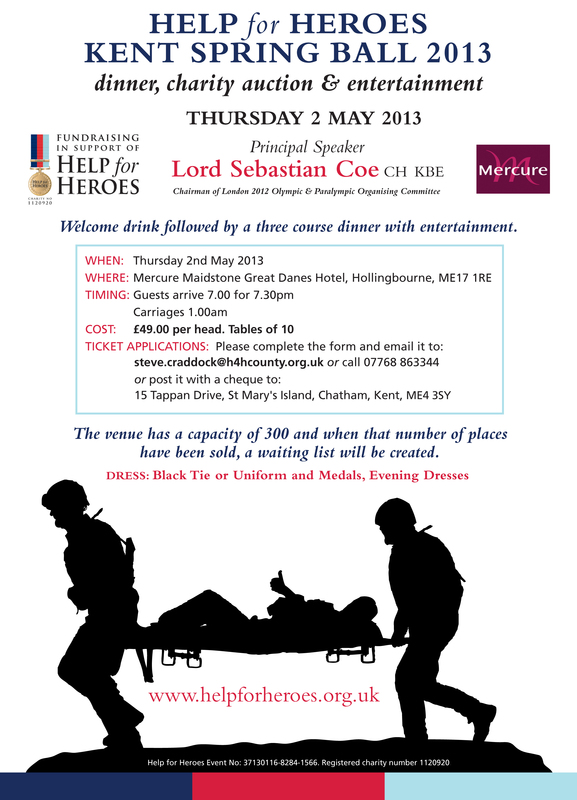 For details of the R&CDF or for non-members to attend contact the Hon. 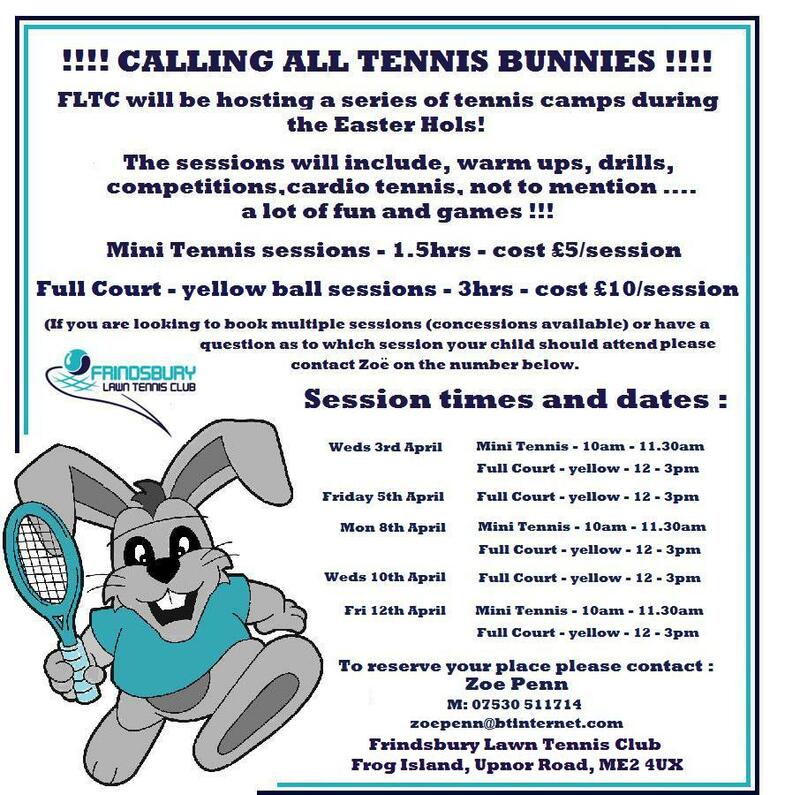 Secretary Mr Steve Martin on 01474 834164 – stevemartin54@hotmail.com or John Knott 01634 862688. 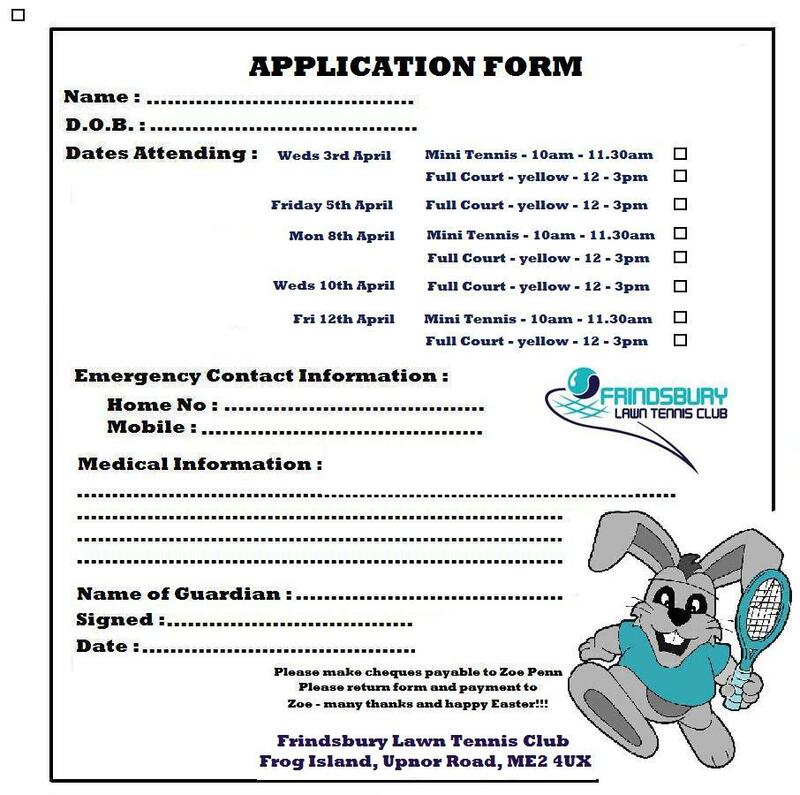 If you can help out by attending or sponsoring either of the events below please print the ticket application form (if required). Interested in art and creativity? Feeling a little stuck? Come and mingle with like-minded individuals and share coffee and ideas. Open to everyone interested in creativity – if you’re a beginner or someone more advanced. Activities planned include speed debating, Parashare – bring a paragraph to share from a favourite book or your own writing, and other writers’ games. This event is part of the Other worlds, other voices Rochester Literary Festival. Saturday, 23 March 10am to 12noon, Strood Library. 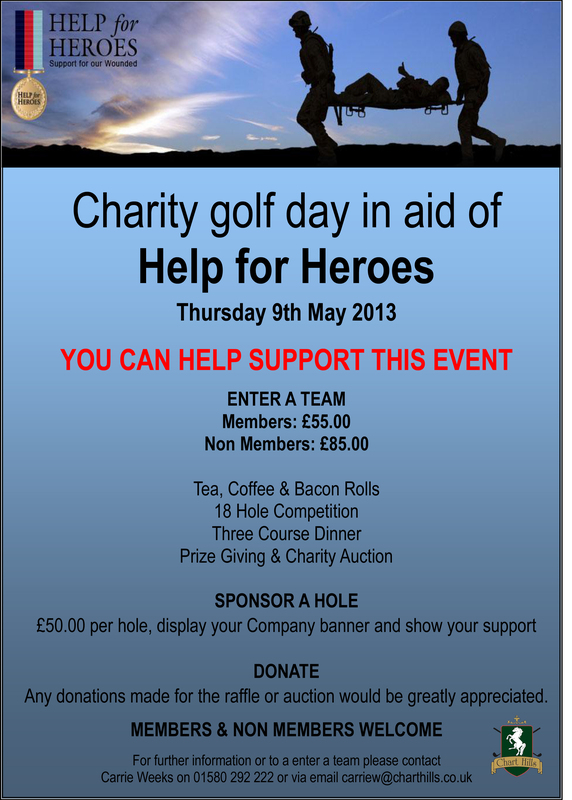 Book your free place by phoning 01634 335890 or just turn up on the day. 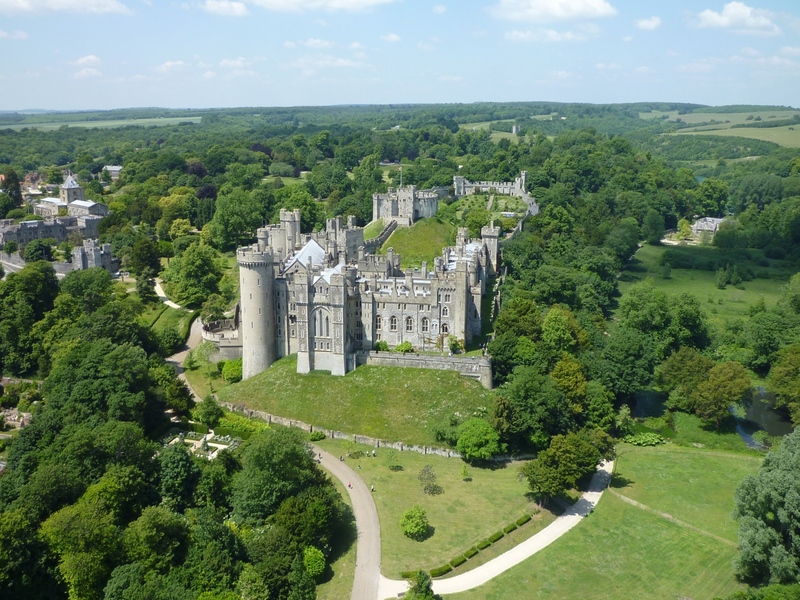 Arundel Castle’s expert gardeners, conservationists, maintenance team and managers have been working around the clock to prepare the Castle to open to the public for the 2013 season on Friday 29 March. The monthly meeting of the Rochester and Chatham Dickens Fellowship (R&CDF) took place on Thursday the 21st of February staring at 7.30. 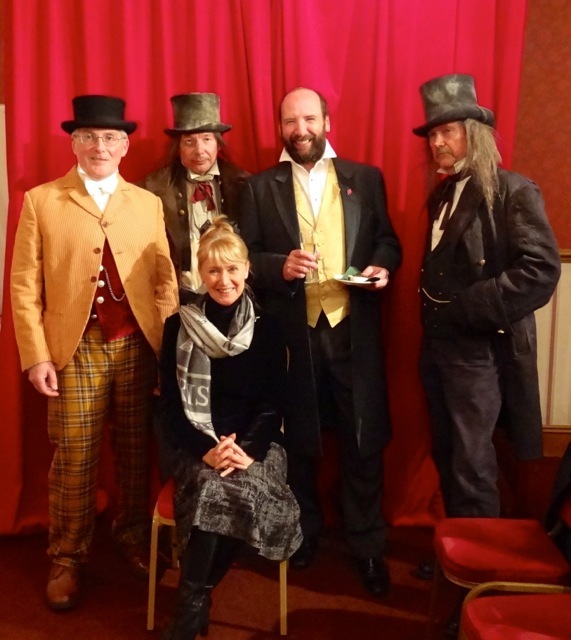 The Charles Dickens 201st Birthday meeting was in the Pre-Show Room of The Britannia Theatre Dickens World in Chatham and included a performance of Dr Marigold by Gerald Dickens. For details of the R&CDF contact the Hon. 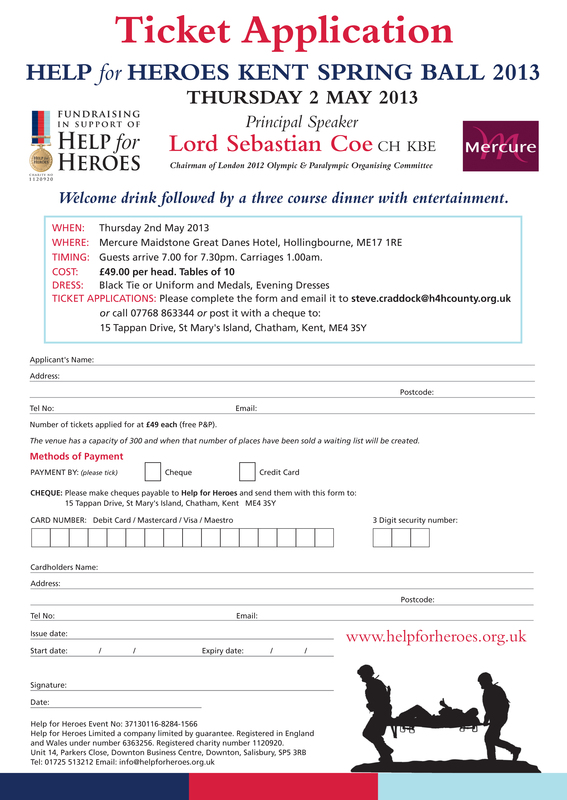 Secretary Steve Martin on 01474 834164 – stevemartin54@hotmail.com or Chairman John Knott 01634 862688. 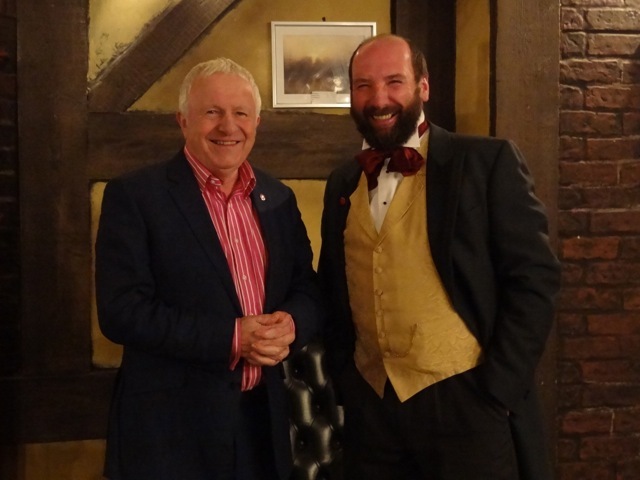 Gerald Dickens, the great great grandson of Charles Dickens, introduced his reading by telling the group some of the background to Dr Marigold and how much his great ancestor had liked performing it – particularly to American audiences. After the reading, Gerald answered questions from the audience and spent the next hour or so talking to members individually. In answer to one question, Gerald said that as far as he is aware, Dr Marigold is the only reading that Charles Dickens gave that did not come from one of his books. R&CDF are very lucky to have Gerald as our branch President. 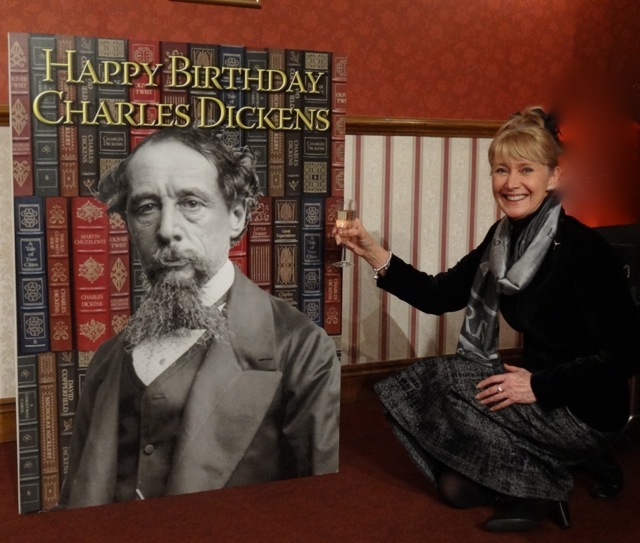 Another highlight of the evening was a champagne toast to Charles Dickens birthday given by ex BBC News Reader and popular TV personality Jan Leeming. An excellent cake was baked and cut by Fellowship Committee Member Freda Mann. There was also a supply of champagne [ with orange juice for the nominated drivers amongst the group] provided by committee member David Hawes and the management of Dickens World in Chatham where the Fellowship hold their regular meetings. 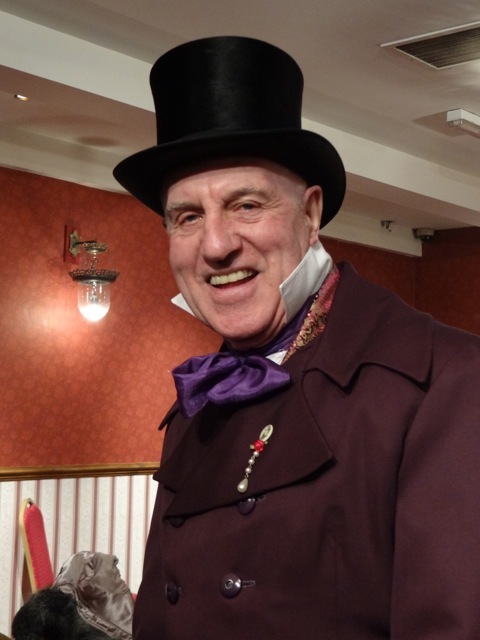 Many branch Members attended in Dickensian costume and the Chairman of the International Dickens Fellowship James Murray also attended and supported the celebrations. 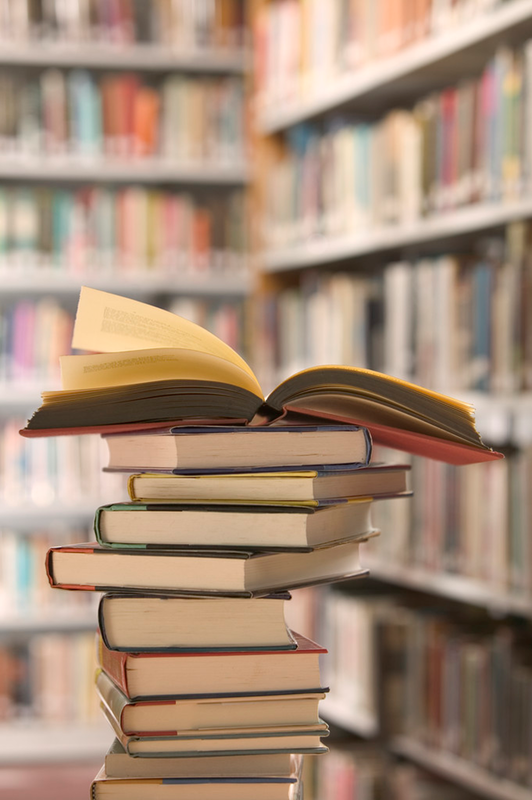 Nearly 97 per cent of Medway’s primary aged children have been offered one of their preference places at secondary school, new figures show. Boy band heartthrobs The Wanted will perform at Rochester’s Castle Concerts on Thursday, 18 July. 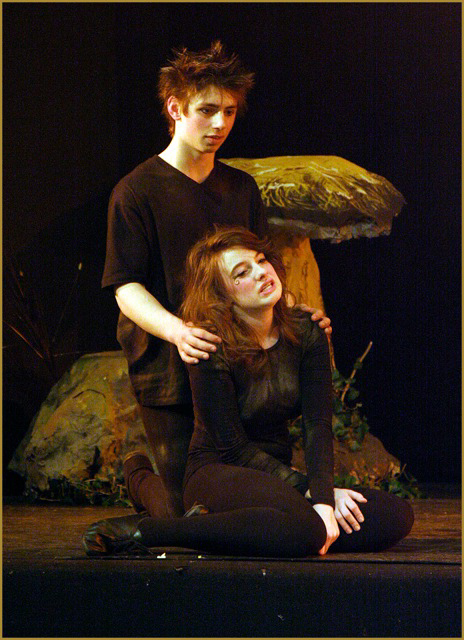 Shortly after they played their début single All Time Low on the Castle Concerts stage, it went straight to number one on its first week of release, and was nominated for Best British Single at the Brit Awards. The band has now notched up four anthemic top five singles and two number ones, and been viewed more than 30 million times on YouTube views. On Friday, 19 July it’s time to party with a fabulous 80s Night featuring Tony Hadley, ABC, and Go West. 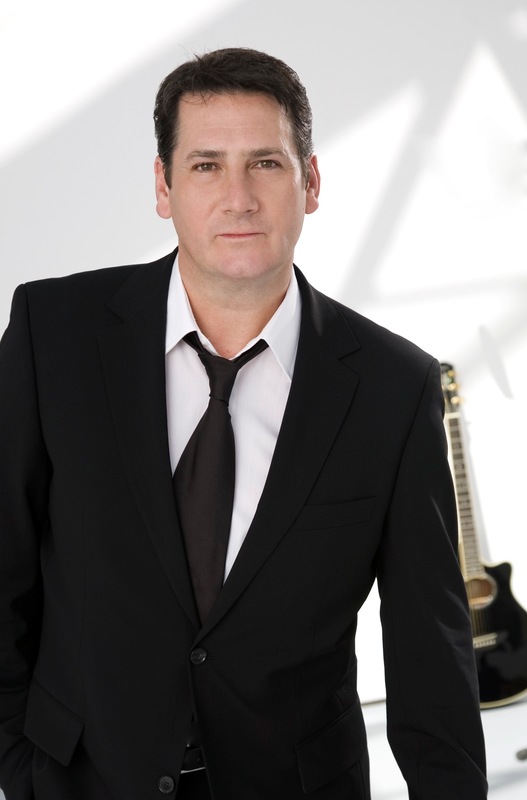 As lead singer of New Romantic pioneers Spandau Ballet, Tony Hadley has earned the accolade of being one of pop music’s greatest vocalists, fronting countless smash hits including Gold, Only When You Leave, Lifeline and the epic Through The Barricades, as well as his prominent vocal contributions to the Band Aid and Live Aid. 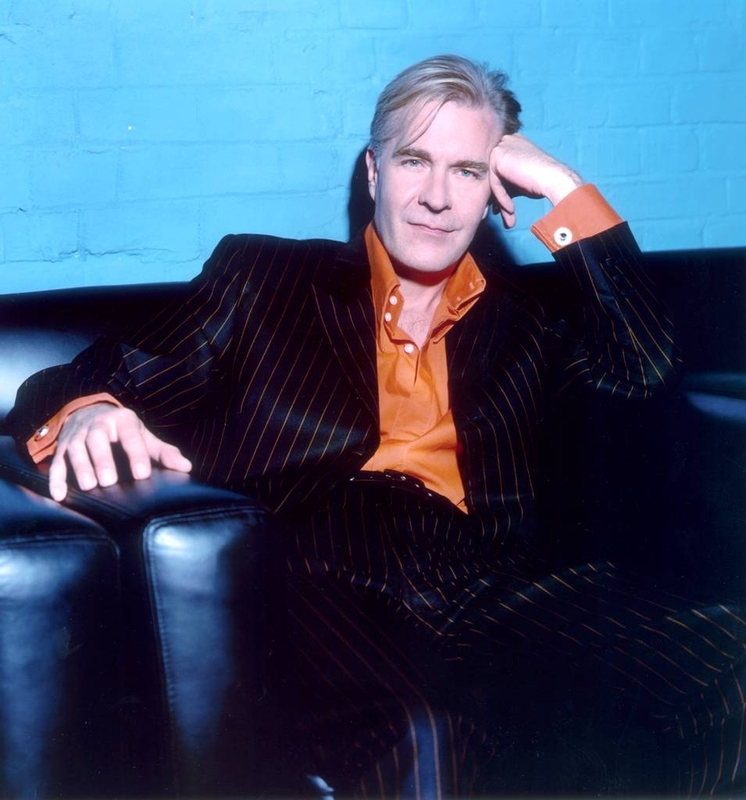 More than thirty years since their iconic début album The Lexicon of Love, Martin Fry and ABC will be showcasing hit Tears are not Enough, Poison Arrow, The Look of Love and All of My Heart, while Go West’s Peter Cox and Richard Drummie will get the crowds rocking to their massive 80s hits including Call Me, Don’t Look Down and We Close Our Eyes. Brit Pop rockers The Fortunate will be the supporting act. Tickets for both concerts will go on sale at 10am on Monday, 4 March. Fans are already booking fast to see legendary rockers Status Quo who will kick off the Castle Concerts on Wednesday, 17 July. Tickets are also on sale for the ever popular Castle Proms on Saturday 20 July, when the Royal Philharmonic Concert Orchestra and special guests will perform a rousing selection of flag waving favourites including Land of Hope and Glory, Rule Britannia and the 1812 Overture, complete with a stunning fireworks display. Tickets cost £35 for The Wanted, 80s Night and Status Quo and £30 for the Castle Proms. Medway Council’s Portfolio Holder for Community Services Cllr Howard Doe said: “The Castle Concerts are unique among music festivals in the south-east because of their intimate setting and amazing atmosphere as well as the calibre of performers who play here. It really is one of the few places you can really get close up to some of the best live performers around, and we’re very proud of this year’s line up which once again offers something for everyone. I hope everyone will book early and look forward to enjoying one of the real highlights of the summer in Medway”. Tickets are available online at online at http://www.thecastleconcerts.co.uk or in person at The Central and Brook Theatre Box or by phone on 01634 338338. Please note that Castle Concerts tickets cannot currently be booked at the Visitor Information Centre.